← Judge, jury and executioner. There were 540,272 eligible voters. There were 207 spoilt votes. Jeremy Corbyn won on the first round with 59.5% of the vote. That in and of itself is a monumental achievement! Overwhelmingly democratically elected as Labour leader. I loved it when he had a pop at “the media” over their appalling harassment of Ed Milliband and his father and indeed his own family. I loved the way he thanked the other Labour leadership contenders – Decent people say good things about others, even if they don’t hold the same views as them; and I loved how he thanked the input of the unions who he said are organically linked to the Labour party. It’s time now that Labour act as an effective party in opposition against the tories. The modus operandi of CaMORON at Prime Ministers Question time is the political put downs – I think Corbyn will highlight the ineffectiveness of this technique particularly if CaMORON fails to respond to Corbyns interventions. So I am VERY pleased with the result because both of my boys won! This entry was posted in Labour leadership and tagged Jeremy Corbyn, Labour, TomWatson. Bookmark the permalink. 6 Responses to Sometimes … the nice guys do win. ie The Tory and media politics of ABUSE, Call a spade a spade has always been the working class way. Already the bbc are interviewing after the result, trying to create subdivisions…. The great thing is all the members are turning these derisive questions around. Labour under Jeremys leadership will learn to transform how politics is conducted, influencing public opionion with hope and fairness rather than divide and conquer and scapegoating. Some responses to the Corbyn win …. Rachel Reeves, the shadow work and pensions secretary, who is on maternity leave, says she will not serve on the frontbench under Jeremy Corbyn. 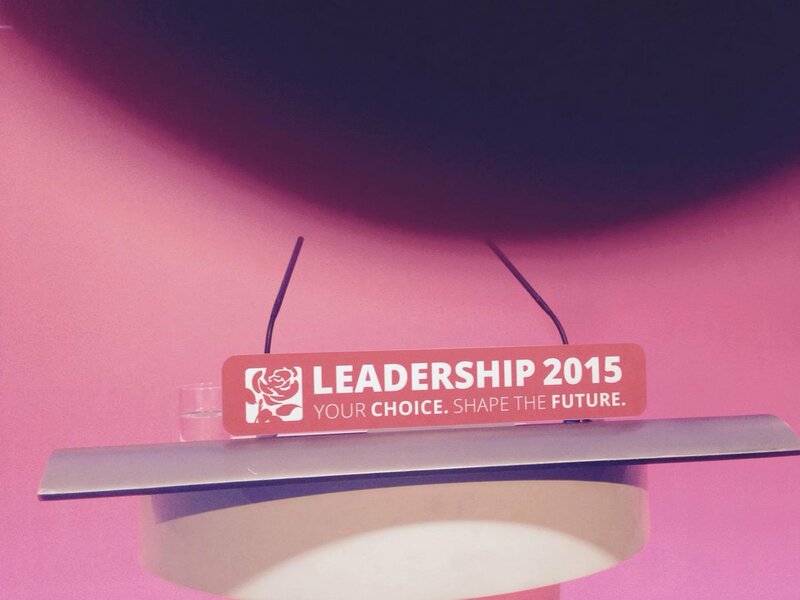 If Andy Burnham had won, she was tipped to end up as shadow chancellor. John Prescott isn’t impressed by Jamie Reed’s resignation. Jeremy Corbyn’s victory is making news abroad too. This is from Pablo Iglesias, head of Podemos, the leftwing insurgency party in Spain that has been hugely successful, despite only being formed two years ago. And this is interesting too. Nicola Sturgeon is also suggesting that the election of Jeremy Corbyn could boost the case for a second Scottish independence referendum. Nicola Sturgeon, the SNP leader and Scottish first minister, is challenging Jeremy Corbyn to clarify Labour’s position on Trident. It is a good question – and one calculated, of course, to cause trouble for Corbyn. At the moment it is not at all clear what Labour’s position on Trident is. Corbyn is opposed, and he won the leadership election with an overwhelming mandate, but party MPs were elected in May on a pro-Trident manifesto. I’ll be offering Jeremy Corbyn my support. I hope also that Jeremy Corbyn reaches out to all parts of the party because he has a big job to do to unite the party. Jeremy has won a very clear victory in all sections. I believe we should respect that mandate. The task of the leader is to reach all parts of that movement and I believe that’s what Jeremy should do. It’s about the fact that right across our party they voted for Jeremy Corbyn. It’s a massive opportunity for our party. I dont believe so i think it was the right thing to do. To choose a new leader unencumbered by the previous leader. I’m going to be serving as a backbencher concentrating on the issues I care about. Will he serve in Corbyn’s shadow cabinet? He [Corbyn] and I spoke about this but I believe the right thing for me to do is to be a backbencher. Congratulations to Jeremy because it was a very strong win. I’m obviously disappointed but we’ve really enjoyed the campaign. Rob Burley, who edits the Andrew Marr show, says Jeremy Corbyn has pulled out of doing an interview tomorrow. And Simon Walker, director general of the very pro-market Institute of Directors, has also issued a statement offering Corbyn his congratulations, although it also stresses that the IoD is not going Corbynite. It is no secret that business has not always seen eye-to-eye with the new leader of the opposition. From renationalising the railways, to raising taxes on businesses and increasing government spending, Mr Corbyn has proposed some policies in the leadership campaign that we believe would undermine our open and competitive economy. Politicians and business leaders are never in perfect agreement on how the economy should be managed, irrespective of who is in government, and who in opposition. We will continue to engage with Labour honestly and directly on behalf our members, who represent businesses large and small across the UK, and hold a variety of political views. Gerry Adams, the Sinn Fein leader, has sent his congratulations. Unite backed Jeremy Corbyn for the leadership. This is from its general secretary, Len McCluskey. Voters can now look at Labour and see, unquestionably, that it stands for fairness, justice, peace and strong communities. It is the party of hope, ready to take on a government hell-bent on making life worse for ordinary people. The task now for all of us who support Labour is to back the leadership team, to unite, to turn to face the Tories and hold them to account. It is what the voters expect, it is the way back to power and it is the duty of those at all levels of the party to deliver. Natalie Bennett, the Green party leader, has put out a statement offering to work with Jeremy Corbyn on progressive campaigns. Here’s an extract. The selection of Jeremy Corbyn, combined with the remarkable Green surge of the past year, and the SNP’s success at the General Election, shows how many people support an alternative to austerity economics, to the head-in-the-sand approach to our environmental crisis and to tired, business-as-usual politics. We hope to engage Corbyn and the Labour Party in discussions about the urgent need for electoral reform. As the May 2015 General Election proved, our outdated and unrepresentative system fails both democracy and the electorate. We hope Corbyn will encourage his supporters to join with us and other campaigners working on these issues, and, in particular, on pushing the issue of climate change to the top of the political agenda ahead of the upcoming Paris talks.